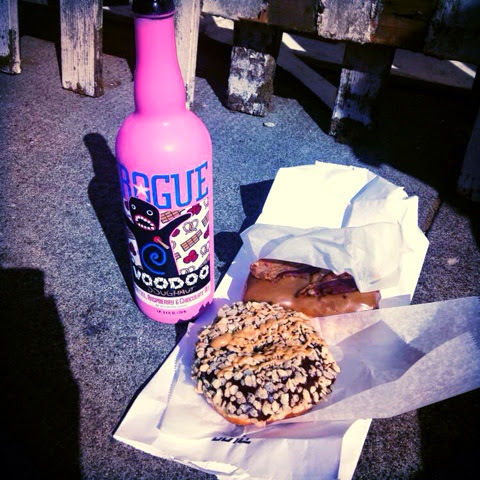 This is a collaboration between Rogue and Voodoo Doughnuts, an awesome groundbreaking doughnut shop in Portland, OR. They've done three beers together, and they're all in these bright pink bottles (because Voodoo doughnuts come in pink boxes) with the Voodoo doll doughnut on them. 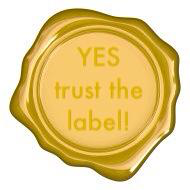 It certainly catches the eye, whether you're familiar with the doughnut chain or not. I'd heard mixed reviews of the first Voodoo beer (maple bacon), so I didn't have my hopes too high for this one, but the description sounded good. By itself, the beer is kinda boring. Not bad, but not the deliciousness I would hope for with the taste combination of pretzel and chocolate and raspberries. However, pair this beer with a donut and it really brings out the flavors! Maybe it was a work of mad brilliance after all.